"All 28 Hours" 21 hours & 7 hour USPAP = 28 Hours Complete, Only $ 650.00 ! All 24 hours "Thursday, Friday & Saturday" $ 500 for Home Inspector Continuing Education ! 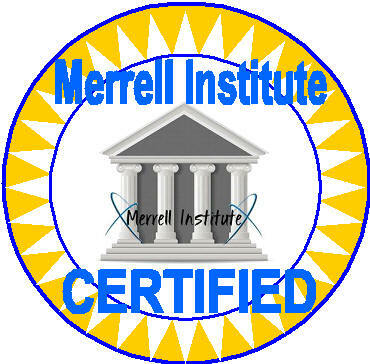 This Class Is Offered to Merrell Institute Students and Loyal CE Students Exclusively! I can assist you with this 15 hour USPAP Class for Disciplinary Reasons in NYS...for my students! This is copyright protected and for Merrell Institute students. Thank you for your support! 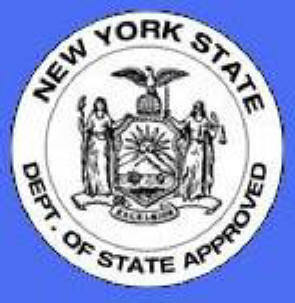 You can now take the 15 hour class on line in NYS- CALL 631-563-7720 FOR DETAILS! We have to sign up and when finished, you take your exam at our school. Discount Price is only $ 99.00 including book and certificate ~ to be determined! only available to our Students- No students of our competition. 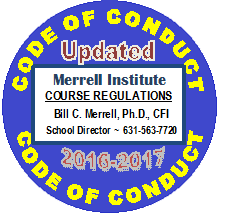 I do not think it is fair for a student to get a Merrell Institute discount if they have not attended our school. We are doing this any many other things to benefit our students! Don't go elsewhere and lose out on all our benefits to our students! www.merrellinstitute.com/moldrecert.html Sunday, APRIL 7TH, 2019 10am-2pm "4 hours"
Late Registration, $ 775.00-No Walk In's Permitted! will occur for Continuing Education Credit. We need you to give us your name, your telephone number and we will call you with the schedule: "Call 631-563-7720"
It is a Great Program worth Thousands of dollars-FREE TRIAL! ADDITIONAL INFORMATION TO BENEFIT PROFESSIONALS-Call for details! http://www.merrellresourcecenter.com/meeting3252015.htm The Past Meeting Seminar was a Great Success!! Are you having problems with your N.Y.S. license? Need help? 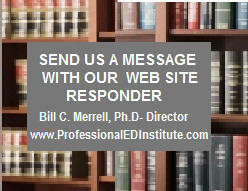 Call Bill C. Merrell, Ph.D. ~ 631-563-7720 or click here! REAL ESTATE SCHOOL; APPRAISAL SCHOOL; HOME INSPECTION SCHOOL; MERRELL INSTITUTE; APPRAISAL EDUCATION NETWORK SCHOOL; HAUPPAUGE REAL ESTATE SCHOOL; LONG ISLAND REAL ESTATE SCHOOL; MERRELL INSTITUTE: LICENSED HOME INSPECTION SCHOOL; Appraisal School, Home Inspection School, Real Estate School, Mold School, Environmental School, Energy Training, US Dept. of HUD Training, Continuing Education, Appraisal Continuing Education, Home Inspection Continuing Education, Real Estate Continuing Education, Microsoft Training, Web Development, National Affiliation with Housing Inspection Foundation, Association of Construction Inspectors, Environmental Assessment Association, International Real Estate Institute, National Association of Real Estate Appraisers, National Association of Real Estate Appraisers and Mortgage Underwriters, National Professional Association, Advocate for Appraisers, Advocate for Home Inspectors, Advocate for Realtors, and Prep Training for State Exam in Home Inspection, Appraisal, Real Estate, Mold Licensing, Math Tutoring, English Tutoring, Microsoft Tutoring, Word Tutoring, PowerPoint Tutoring, Excel Tutoring, National Accreditation, NYS Certified, NYS Dept. of State Licensing. Module 1, Module 2, Module 3, Module 4, Module 5, Module 6, R1, R2, R3, R4, R5, R6, R7, R8, R9, R10, R11, SMF, USPAP, G1, G2, G3, RE1, RE2. 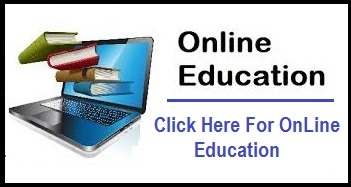 Licensed Appraiser Courses, Certified Residential Appraiser, Certified General Appraiser, Licensed Home Inspector, Licensed Real Estate Salesperson, Licensed Real Estate Broker, Licensed Realtor, Licensed Realtor Associate, Certified Property Manager. We also offer 6 month, 1 year and 5 year business planning. Failure to Plan, Plan to Fail ! We help our students to Succeed ! Long Island Real Estate News. Professional Real Estate School, Hauppauge Real Estate School.